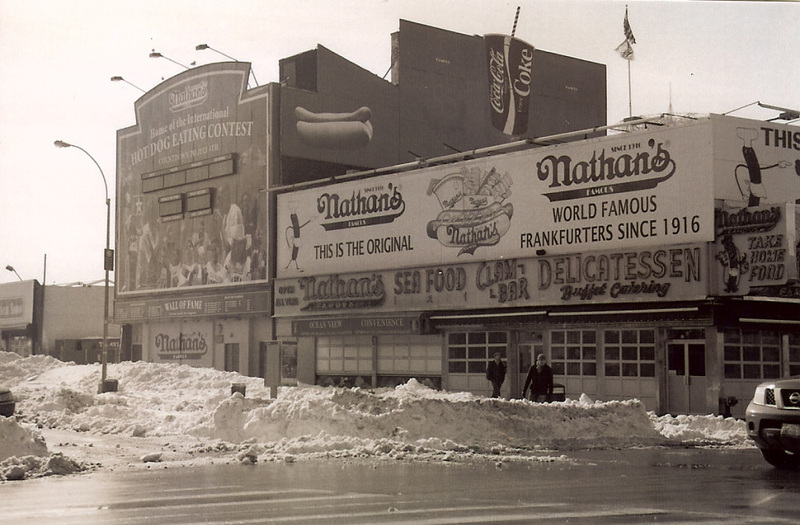 Lost Photos Of NYC Blizzard: Found! : The Picture Show While cross-country skiing in Brooklyn, Todd Bieber discovered a lonely canister of film, abandoned in the snow. Lost Photos Of NYC Blizzard: Found! A photo of Coney Island in New York taken after the snowstorm. According to this video, New York resident Todd Bieber was out looking for adventure in the aftermath of the 2010 December blizzard. As he cross-country skied his way across Brooklyn's Prospect Park, he discovered a lonely canister of film, abandoned in the snow. In keeping with his spirit of adventure, he took the film in to be developed. What came back was a series of black-and-white photos of a newly snow-covered New York City. They're tourist photos, from the looks of it, taken by visitors who made the most of the blizzard, en route from Central Park to the Brooklyn Bridge to Coney Island and on to Prospect Park. Bieber writes and directs video for the Upright Citizens Brigade Theater and he decided to put those work skills to use. He shot and produced this video, which showcases the photos he found. He hopes that by posting his findings to YouTube, the photos and their owner will be reunited.